Home / Testimonial / The camaraderie that exists in each class makes the workouts exciting and fun. 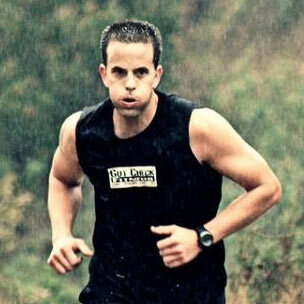 Prior to coming to Gut Check Fitness, I had never run more than a mile at one given time. Running and working out was very foreign to me, especially competing at these things. Additionally, I was very much a city boy, having never spent time in the mountains or canyons ever. As soon as I started Gut Check, I was pushed to limits I thought I could never be pushed. I did things that I did not know I even could do, including working out through the night in many dark canyons. Joe and Nicole not only inspired me, but challenged me every workout to lay it all out there. To not think….just do. After 11 years under their care and leadership, I have competed at a very high level in over 100 races, with many medals to show for. There is absolutely no way I could achieve the things that I have without the Gut Check family, and most notably Joe and Nicole. The camaraderie that exists in each class makes the workouts exciting and fun. Through the years, because of Gut Check, I have made lasting life-long friendships with all of the members. I cannot express in words the drive that Gut Check has igniting in me. Without a doubt, Gut Check has changed my life and made me see a different, stronger, and more confident me.